Singing with the precision and flexibility of modern chamber musicians, Quince Ensemble is changing the paradigm of contemporary vocal music. Described as "the Anonymous 4 of new music" by Opera News, Quince continually pushes the boundaries of vocal ensemble literature.As dedicated advocates of new music, Quince regularly commissions new works, providing wider exposure for the music of living composers. They recently received a Chamber Music America award to commission a new song cycle by Chicago-based composer, LJ White, and will be releasing their 3rd studio album, Motherland, on New Focus Recordings in Spring 2018. In 2016, Quince was featured on the KODY Festival Lublin, Poland in collaboration with David Lang and Beth Morrison Projects. They have also appeared on the Outpost Concert Series, the Philip Glass: Music with Friends concert at the Issue Project Room in Brooklyn, Alia Musica, and the SONiC Festival in New York. During the 2017-18 season, they will collaborate with Third Angle New Music, Philadelphia's Bowerbird, Washington University in St. Louis, MO, Lawrence University, Cornish University, Tigue, Man Forever, and Tenth Intervention.Comprised of vocalists Liz Pearse (soprano), Kayleigh Butcher (mezzo soprano), Amanda DeBoer Bartlett (soprano), and Carrie Henneman Shaw (soprano), Quince thrives on unique musical challenges and genre-bending contemporary repertoire. 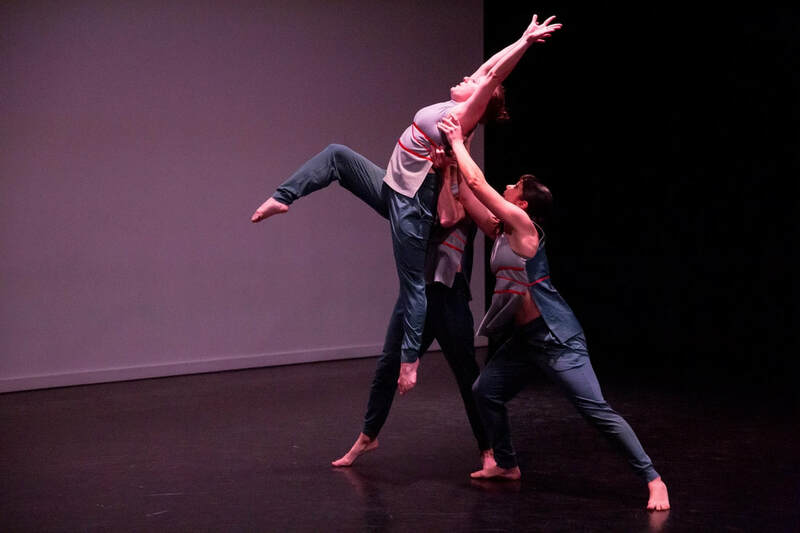 Described as “emotionally hard-hitting” (Jane Vranish, Pittsburgh Post-Gazette), Shana Simmons Dance (SSD) was founded in 2009 by Artistic Director Shana Simmons to create unique and engaging contemporary dance. Since its founding, Simmons has used dance as a means to express other people’s opinions as well as her own: to interpret and create. She takes inspiration from the immediate world in which we are living, and her choreographic expressions are created from the ways in which our society is changing, the need for intimate connections to people and objects, and providing the viewer a unique perspective, if not participatory action. SSD projects aim to draw audiences into modern dance in new and creative ways and highlight current societal topics for project based work. SSD has produced three major productions through the support of the Heinz Small Arts Initiative. Relative Positions (2012) was a building take over involving over twenty artists who performed/presented their works in site specific locations throughout. Over 250+ attendees were documented and it boasted “Pittsburgh as a vibrant arts scene.” Jane Vranish, Pittsburgh Post Gazette. PASSENGER (2014) honored the hundred year anniversary of the extinction of the passenger pigeon, once the most numerous bird in North America. Presented at the National Aviary, five dancers swept, leapt, and careened through space, transforming the center of the aviary into a feathered nest of movement. Objective I (2015) was a collaboration with NYC based company, The Moving Architects, experimenting with editing in dance. Based on an article written by Judith Mackrell, both choreographers created and edited each other’s work. Presented as a two step project, Objective I was presented in both NYC and Pittsburgh. Discussions ensued with audiences; topics of artistic voice, entertainment value, and the true nature of a choreographic work were debated. Kamratōn exists to challenge the boundaries of music performance, expand the contemporary chamber music repertoire, and celebrate the role of women as leaders in the arts. When a group of frequent collaborators founded Kamratōn in 2015, we aimed to offer something vital and original to Pittsburgh's musical community. Now in our fourth season, we've incorporated as a 501-c3, committed to a mission of presenting women-created and women-curated new music, and developed an aesthetic and a practice that is experimental and collaborative. In the 2017-2018 season, we presented eight commissions, collaborated with a visual artist and an animator, and worked with twenty-nine guest musicians. This season, we're staging our first opera, Her Holiness: The Winter Dog, in collaboration with the vocalists of Quince Ensemble and Shana Simmons Dance. We're also continuing our signature She Scores series highlighting women composers, and we're presenting a collaborative series of compositions which will create a kaleidoscopic impression of a Gertrude Stein poem. Soprano Anna Elder’s voice has been described as being “ethereal” or “a voice that has blues, reds and purples in it” by The New York Times or “a voice that could match, pitch for pitch, the grumble of a truck’s engine or squeak of a scooter’s horn.”- Wilmington Star News. She is a native of Pittsburgh, Pa and currently performs with the new music ensembles Kamratōn and wolfTrap. She has also appeared with Pittsburgh’s Alia Musica, Nat28, Opera On Tap and The Eclectic Laboratory Chamber Orchestra. 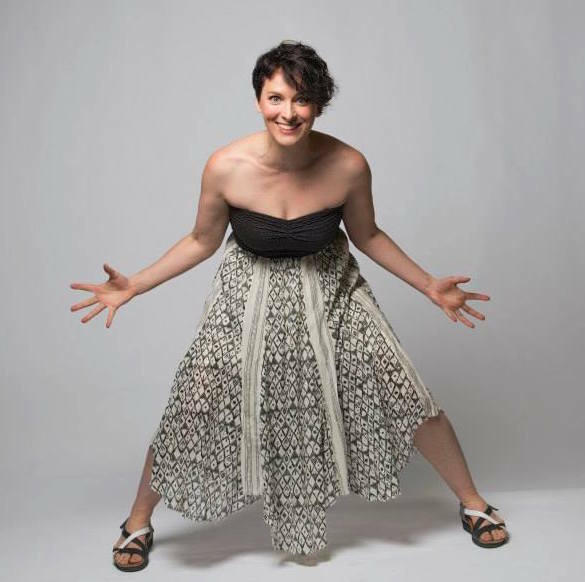 Anna was the lead vocalist with Squonk Opera for three years and premiered Go Roadshow and sang in the Off-Broadway version of Mayhem and Majesty, where she was described as creating “a sort of persona that becomes tangible which takes shape and begins to define what unfolds on stage.” -Broadway World. Other engagements have included performing Music for 18 with New Music Detroit and appearing as a guest vocalist with Quince Ensemble. She has appeared on Music on the Edge’s Beyond Microtonal Music Festival, The Pittsburgh Festival of New Music, Detroit’s Strange and Beautiful Music 2017, and The Cleveland Uncommon Sound Project’s Re:Sound festival. Amanda DeBoer Bartlett, DMA is an Omaha-based classical soprano who specializes in the work of living composers. Along with her solo career, she is a member of Ensemble Dal Niente and Hasco Duo. Ms. DeBoer Bartlett is featured on albums with Holly Herndon, Deerhoof, Ensemble Dal Niente, Quince Contemporary Vocal Ensemble, Christopher Wild, and Hasco Duo. Ms. DeBoer Bartlett is also the founder and director of an experimental performance festival called Omaha Under the Radar, which has presented nearly 200 individual artists from around North America during its first three seasons. Born and raised in Omaha, NE, Ms. DeBoer Bartlett moved to Chicago to study at DePaul University where she received a Bachelor of Music. She received a Masters degree from the University at Buffalo, where she studied with acclaimed contemporary interpreter Tony Arnold, and a Doctorate of Musical Arts from Bowling Green State University. Violinist Jennifer Sternick is an active and enthusiastic freelance musician. Holding concertmaster positions in eastern and western Pennsylvania, she performs professionally as a soloist and as a member of symphony orchestras, chamber groups, and new music ensembles. As a chamber musician, Jennifer is co-founder and member of Kamratōn, a chamber music collective, and she has recently joined Cuarteto Bravo, Pittsburgh’s premiere tango quartet.​Jennifer hails from the outskirts of Mohnton, Pennsylvania, where she grew up studying violin with Barbara Lanza. She earned her bachelors in music and philosophy at the University of Pittsburgh, while studying with Roger Zahab. Post-college, she studied intensely with Huei-Sheng Kao of the Pittsburgh Symphony Orchestra. When Jennifer is not making music, she is an avid runner and rock climber. ​Finding joy in variety, Liz Pearse is a musician of many pursuits. Liz began her exploration of the endless possibilities of the voice after a childhood spent playing any instrument she could lay hands upon. As a performer, her uniquely colorful and versatile voice has led to performances of wide-ranging works from medieval to modern, and though she is known as a specialist in contemporary vocal repertoire, she also deeply enjoys a well-aged song. Liz has recently begun a long-term project commissioning and performing works for singer at the piano (though she still enjoys the collaborative process! ), and presents her second full-length program of such pieces, a celebration of the 100th anniversary of Poulenc’s La bestiaire featuring newly-commissioned animal portraits, on tour in 2019. Liz is one-fourth of Quince Ensemble, a treble-voice quartet dedicated to "charting bold new directions in vocal chamber music" (John von Rhein, Chicago Tribune). Their third album, Motherland, was released by New Focus Recordings in spring 2018, and they head back to the studio to record David Lang's love fail summer 2019. Carrie Henneman Shaw is a classically trained singer, who performs internationally as both a singer and dancer, and has soloed with Minnesota Orchestra, Chicago Symphony Orchestra and at the Kennedy Center in Washington DC. Based in St. Paul, Carrie is a two-time McKnight Fellowship recipient for her work as a specialist in Baroque and experimental music. Outside of the classical realm, Carrie is sought for a wide range of projects from recording music for video games, such as Pillars of Eternity, and collaborating with rock bands, such as Deerhoof. ​Cecilia Caughman holds a Master of Music degree and an Advanced Music Studies certificate in cello performance from Carnegie Mellon University, where she studied with Anne Martindale Williams. She was a member of the Honors String Quartet and co-principal cellist of the CMU Philharmonic. Currently, Cecilia performs with numerous regional ensembles, including the Johnstown Symphony Orchestra, Erie Philharmonic, and Westmoreland Symphony Orchestra. Certified as a Suzuki cello teacher, Cecilia maintains an active teaching studio in Pittsburgh. A native of Shaker Heights, Ohio, Cecilia earned a Bachelor of Music degree from the Cleveland Institute of Music, studying with Richard Weiss. During her senior year, she served as principal cellist of the Cleveland Women’s Orchestra and as the Librarian of the Cleveland Orchestra Youth Orchestra.Cecilia has spent her summers at the National Repertory Orchestra, Round Top Music Festival and Chautauqua Institution Music Festival, among others. She has played in masterclasses for cellists Desmond Hoebig and Richard Aaron and has been coached by the Pacifica and Cavani String Quartets, as well as Peter Salaff, Noah Bendix-Balgley and Alisa Weilerstein. 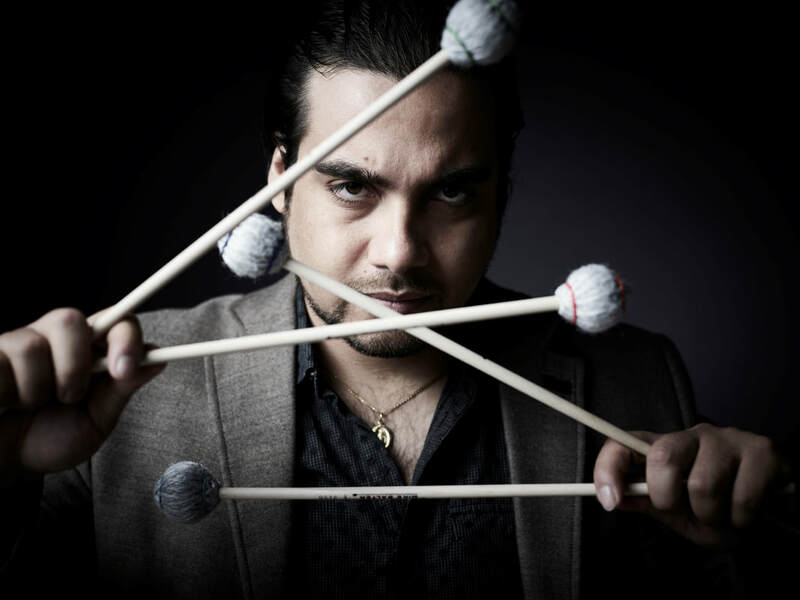 Curtis (b.1986) joined the faculty of the School of Music at Carnegie Mellon University in Pittsburgh, PA in 2012 as the department’s Resident Conductor and Artistic Director of the CMU Contemporary Music Ensemble. Curtis has conducted performances with the CMU Philharmonic, Chamber Orchestra, Baroque Ensemble, Percussion Ensemble, as well as several fully staged opera productions. With the CMU Contemporary Ensemble, Curtis has premiered over 50 compositions by CMU students and faculty members including works by Nancy Galbraith, Leonardo Balada, Marilyn Taft Thomas, and Reza Vali. Curtis is also the Music Director of the CMU pre-college orchestra, an intensive summer music festival for high-school musicians. From 2011-2013, Curtis was the Assistant Conductor of the Brooklyn Philharmonic where he worked alongside Alan Pierson to produce outside-the-box concert events praised for, “Responding to the histories and needs of its audiences in a way that has been truly inspiring (NY Times, 2012).” Curtis made his debut with the Brooklyn Philharmonic in 2012 conducting Randall Woolf’s Blues for Black Hoodies featuring rapper Wordisbon at the Brooklyn Public Library. A conductor noted for his creative programming and skill with contemporary music of all styles, Curtis collaborated with Pierson and the Brooklyn Philharmonic in groundbreaking concerts that featured neo-soul artist Erykah Badu and hip-hop artist Mos Def with orchestral arrangements by composers Ted Hearne and Derek Bermel. Curtis previously served as the Associate Conductor of the Bleecker Street Opera Company and Assistant Conductor of the Amor Artis Chorale and period instrument orchestra in New York. Originally from Key West, Florida, Curtis has conducted several orchestras in the Southeast including the Key West Pops Orchestra. Curtis received his BA from Amherst College (2008) and his MM in conducting from Carnegie Mellon University (2012). Described as "Rad as f*&^" (Scapi Magazine) and having "a sound that is well-suited for the strange world of new music" (Chicago Classical Review), Kayleigh Butcher (mezzo soprano) has gained critical and audience acclaim as a soloist and contemporary chamber musician. As a fervent supporter and advocate for contemporary music, Kayleigh has worked with many composers including David Lang, Tristan Perich, Eve Beglarian, Daniel Felsenfeld, Holly Herndon, John Luther Adams, Chris Fisher-Lochhead, David Reminick, Jennifer Walshe, Robert Honstein, Danny Clay, Alex Temple, Molly Herron, Fjóla Evans, Levy Lorenzo, Morgan Krauss, Eliza Brown, Jonathan Sokol, Max Grafe, Amanda Feery, LJ White, Bethany Younge, Ravi Kittappa, and Jennifer Jolley. She has also collaborated with many new music ensembles including International Contemporary Ensemble (ICE), Eighth Blackbird, Third Coast Percussion, Ensemble Dal Niente, Opera on Tap NYC, Tigue, Man Forever, Grant Wallace Band, Anti-Social Music, thingNY, Fonema Consort, a.per.i.o.dic, and Rhymes With Opera, to name a few. 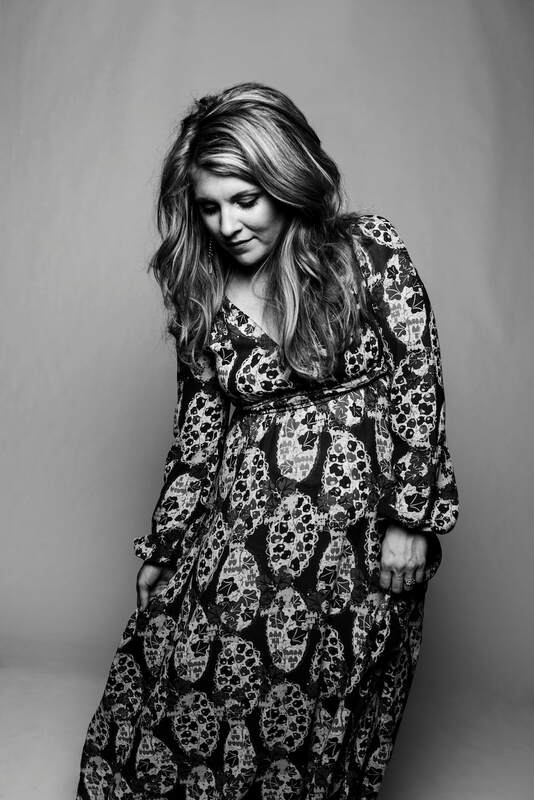 She graduated with a Bachelor's degree in Vocal Performance from the University of Missouri-Kansas City in 2008 and completed her Master's in Music at Bowling Green State University in 2011. Kayleigh also experiments with composition, writing fugues and other arrangements for Quince. 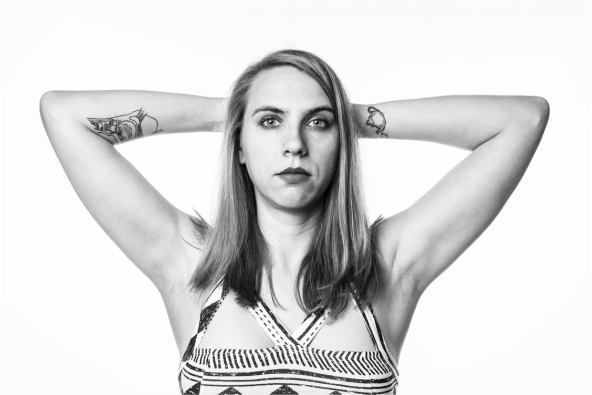 Emily is a performer and educator who splits her time between Pittsburgh, PA and Bloomington, IN. 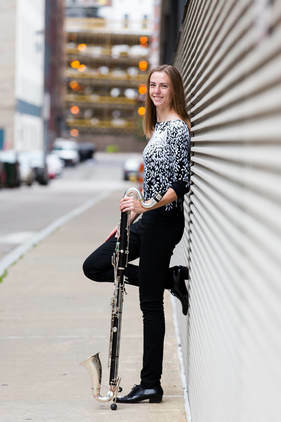 She performs as the principal clarinetist with the Akron Symphony Orchestra and bass clarinetist with the Evansville Philharmonic, and she has also performed with the Pittsburgh, Richmond, Hartford, Williamsburg, and Johnstown symphonies. Emily is dedicated to performing new music, regularly appearing with Pittsburgh’s Alia Musica and serving as the clarinetist and artistic director of Kamratōn. Emily has also appeared with jazz/world group the Afro-Yaqui Music Collective and is active in Pittsburgh’s free improvisation community. Emily earned degrees in music performance and education at Duquesne University and Lawrence University, where she studied with Ron Samuels and David Bell. She has presented her research on the music of Kaija Saariaho at SUNY Buffalo and the CUNY Graduate Center. Emily teaches woodwind sectionals at Franklin Township Central HS in Indianapolis and formerly served as the choir accompanist at Dutilh United Methodist Church in Cranberry, PA. She is a native of Western Illinois and is a die-hard Cubs fan. She enjoys biking, coffee, and Southern Gothic literature. ​Robert Frankenberry leads a multi-faceted career as a vocalist, pianist, educator, actor, and conductor. As music director for Pittsburgh Festival Opera, he has collaborated with Jonathan Eaton on critically-praised new productions of a wide-range of works, including “reimaginings” of works by Offenbach ( The Tales of Hoffmann - Retold) and Bizet (Carmen: the Gypsy) and site-specific productions of Orpheus & Eurydice by both Gluck and Ricky Ian Gordon, Daron Hagen’s Shining Brow-Fallingwater version, and Montemezzi’s L’Incantesimo; and has led the premieres of the Night Caps (also contributing as a composer) and Night Caps International projects, Roger Zahab’s Happy Hour, Gilda Lyons’ A New Kind of Fallout, and Dwayne Fulton’s A Gathering of Sons. Since joining the faculty of the University of Pittsburgh’s Department of Theatre Arts in 2015, Robert has provided musical and vocal direction for Pitt Stages’ productions of Hair, Little Shop of Horrors, Nine, Peter & the Starcatcher, and A Midsummer Night’s Dream, and direction for The 25th Annual Putnam County Spelling Bee and Parade. 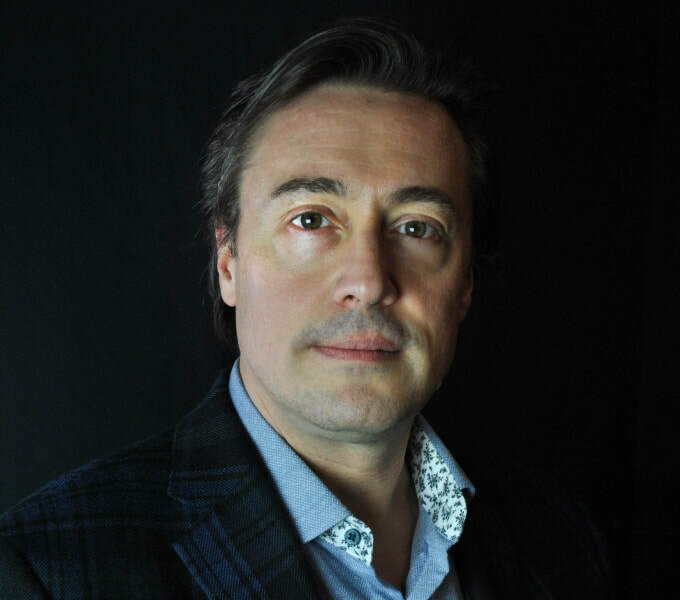 On stage, he has performed a wide range of roles including Mozart (Amadeus), John Adams (1776), Carl-Magnus (A Little Night Music), Bacchus (Ariadne on Naxos), and the title roles in Don Carlo, The Tales of Hoffmann, Faust, and Willy Wonka. A charter member of the New Mercury Collective, he will be originating the role of Orson Welles in Daron Hagen’s Orson Rehearsed in collaboration with Chicago’s Fifth House Ensemble in September 2018. At the piano, he performs regu-larly as an active member of numerous ensembles including Pittsburgh’s IonSound and AnimeBOP; New York City’s The Phoenix Players and PRISM Players; and multi-city entelechron and Chrysalis Duo. He can be heard singing and playing on the Naxos, Albany, New World Records, Roven Records, New Dynamic Records, and Innova labels.